What Are Breadcrumbs and Can They Help With SEO? Breadcrumbs give Google another way of understanding what your website is really about and how the site is structured. If Google sees your website is well structured Google will add your breadcrumbs in the search results, making it easier to attract your target users. How many times have you navigated a website and couldn’t find what you were looking for? Frustrating right? Same goes for your website. Your aim is to keep your visitors happy and minimize any complications. Breadcrumbs can enhance user experience since it is a well-known interface element that instantly shows users find a way out without hitting the back button. 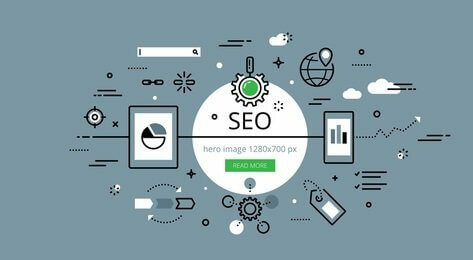 With everything revolving around organic search nowadays, hardly anyone comes through the homepage anymore which means every part of your site could now be used as an entry point! This will reduce lower bounce rates because you’re offering visitors an alternative purpose of browsing your site. Don’t you think it’s better to send a visitor to your homepage than back to Google? Even when using breadcrumbs Hansel and Gretel still managed to find themselves lost in the woods. Don’t let that happen to your visitor. Visitors instantly understand how the site structure works with breadcrumbs. For the same reason, Google loves them as well. There are many ways of adding breadcrumbs to your site easily, you can find more information through Googles developer documentation on breadcrumbs.